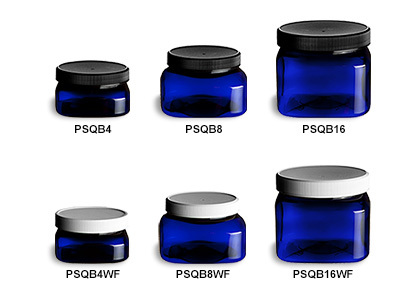 These blue PET square jars are made from high quality, food grade PET plastic. They provide a great alternative to glass without sacrificing the look of the finished product. These jars work well in commercial settings and are perfect for spa or salon use. Choose between smooth domed or ribbed flat lids in white or black. All prices include the lid of your choice.